Do You Want to Build A Snowman?...Or 84? 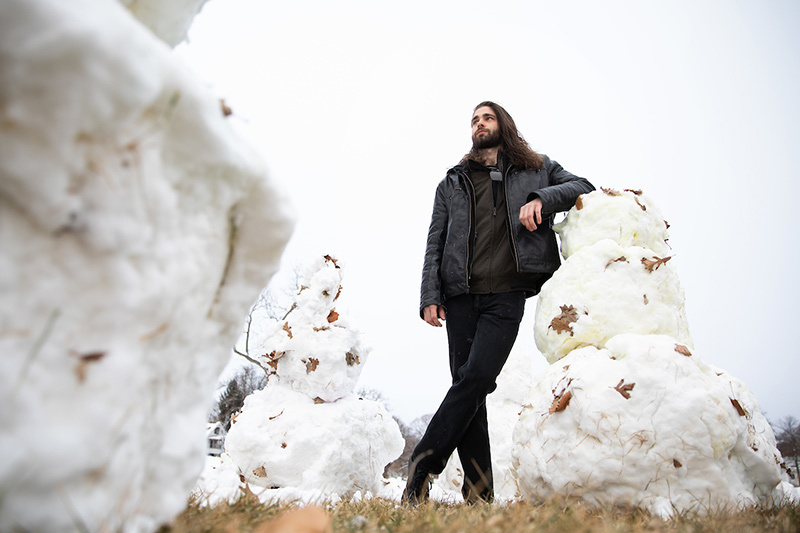 UNO sculpture student catches Omaha's attention by building ‘Love Army’ of snowmen. Alec Paul never intended to build 84 snowmen. 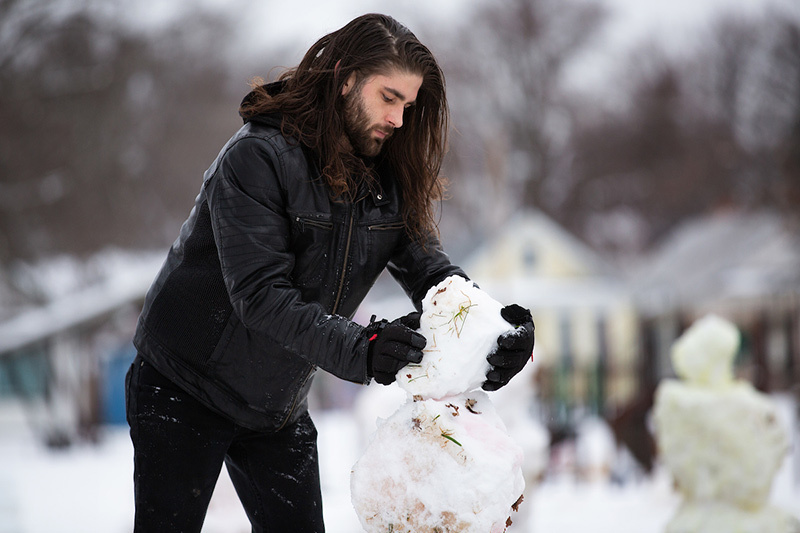 But when the University of Nebraska at Omaha (UNO) Bachelor of Fine Arts sculpture student couldn’t sleep on Monday night, he started rolling snow in Leavenworth Park, mere blocks from his home. For nearly nine hours – alone and in the dark – Paul built snowman after snowman until he quit from exhaustion. Paul called the spontaneous effort therapeutic. “It took a lot off my mind. I couldn’t really sleep either, so I had to take my mind off of stuff and that did the trick,” he said. 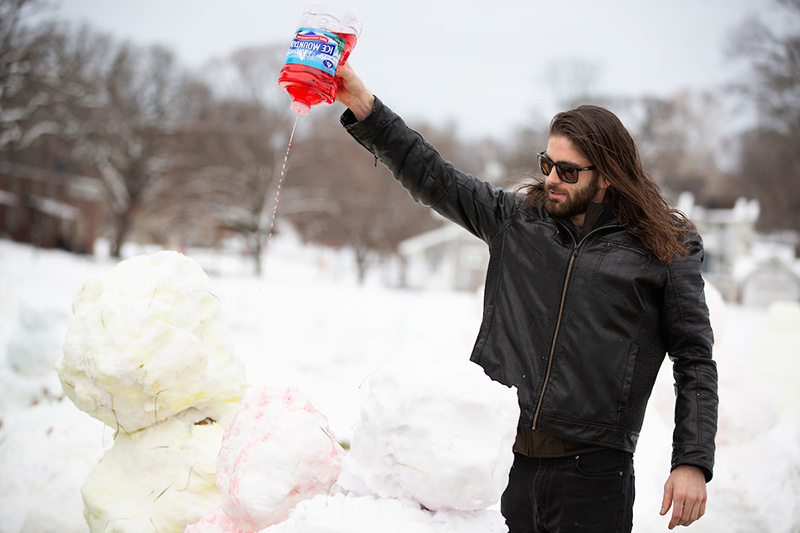 What began as a way to clear his mind grew into a pop-up art installation, which he has named “Love Army.” The crowd of snow sculptures colored red, blue and yellow has garnered attention in the neighborhood with members of the community stopping to take photos or repair snowmen that had toppled over. “I didn’t expect people to love them so much,” said Paul. 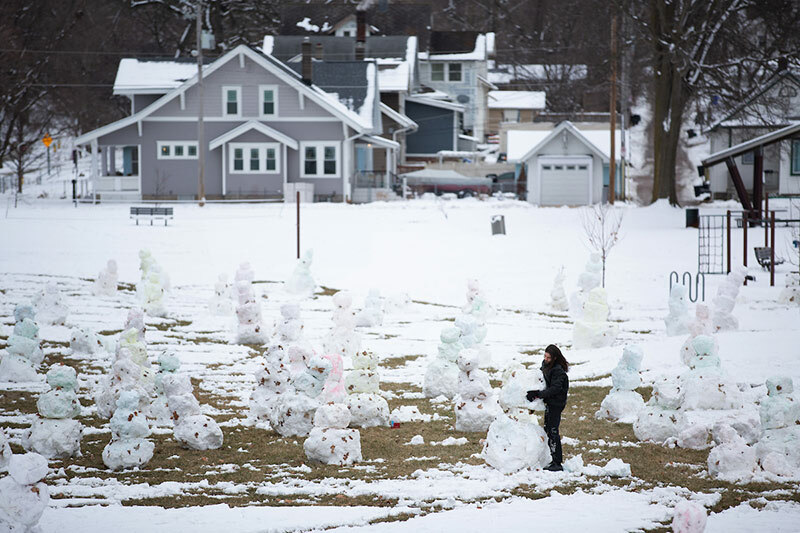 And Paul isn’t finished working on his “Love Army.” On Wednesday evening he was back at Leavenworth Park adding more color to the snowmen with plans to possibly add lights to their heads.